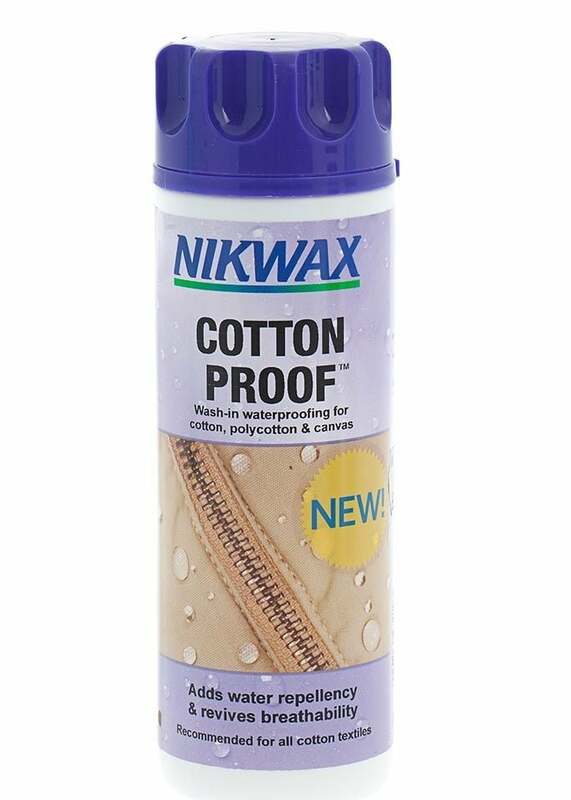 The Nikwax Cotton Proofâ¢ leaves a flexible water repellent treatment on individual fibres allowing moisture vapour to pass through, maintaining breathability, prolonging the life of gear and optimising performance in wet weather. 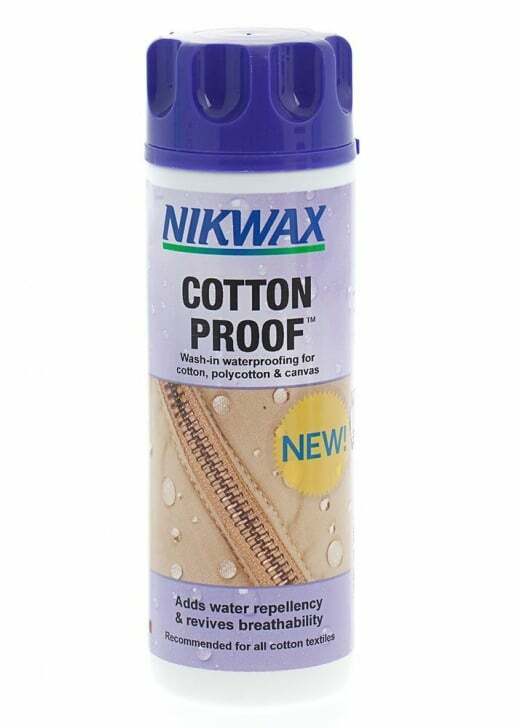 The Nikwax Cotton Proofâ¢ leaves a flexible water repellent treatment on individual fibres allowing moisture vapour to pass through, maintaining breathability, prolonging the life of gear and optimising performance in wet weather. Nikwax Cotton Proofâ¢ is easy and quick to apply in a washing machine and ensures that the treatment goes right through the garment. The water repellent nature of Nikwax Cotton Proofâ¢ develops on air drying. Therefore the need for tumble drying is removed, saving energy.